House Staining - Soffits, Siding, Fascia, etc. House staining is a growing area of our business. Many of our clients hire us to do their siding and other wood surfaces after seeing our great work on decks and railings. Using our advanced knowledge of stain preparation and application, we can make your house siding, trim, fascia and soffits beautiful as well. We have specific restoration techniques for logs, rough timbers, rough cedar, and glue lams. We can strip grey out of weathered soffit boards, and rafter tails. We also have a fleet of sanders we can use to restore smooth surfaces like glue lam beams which are common in Park City. Many painters have great knowledge of painting, and semitransparent staining but the translucent stains and finishes require special skill and knowledge in order to apply and maintain. Challenging translucent stain situations are where we shine and you will see a difference between us and other companies, in both our initial and long term approach to your wood. 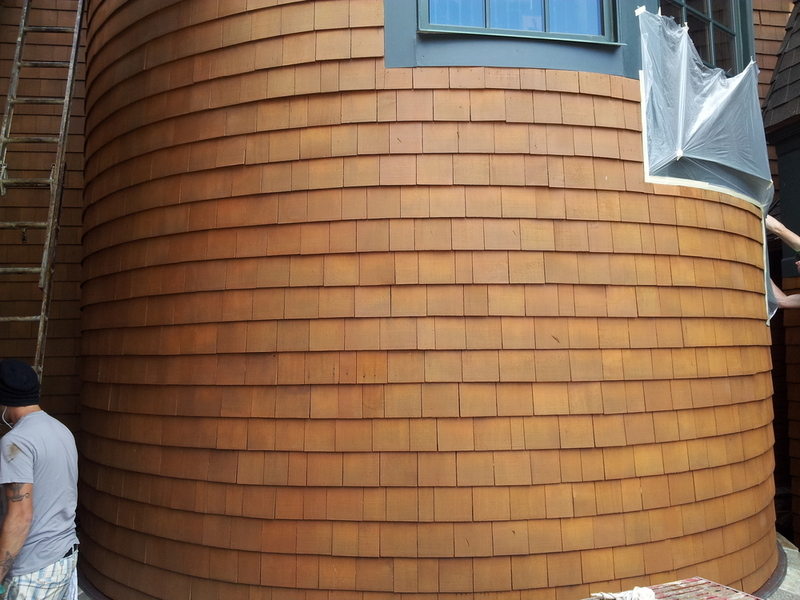 Give us a call or email for a no pressure consultation on your staining project. The substructure of a deck must be resistant to rot and is particularly prone to moisture damage from below and from above. 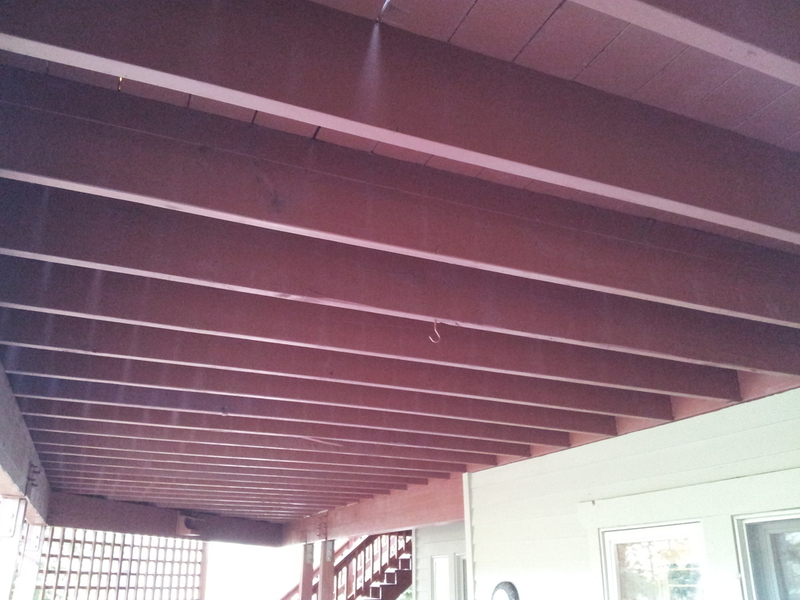 Ground level decks often lack airflow from below if they are sealed around the outer perimeter and from above when debris from overhead trees gets stuck in cracks. 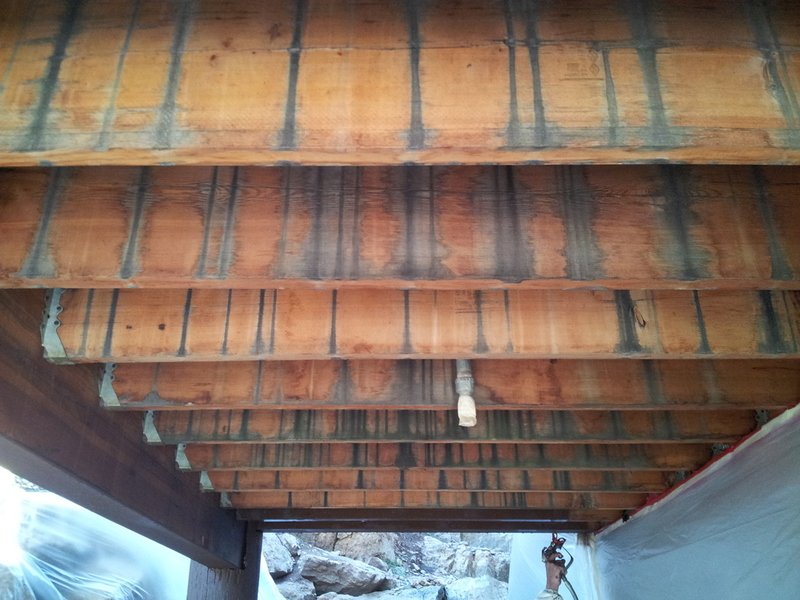 This can create a situation where there are soft spots on the deck boards and screws are coming loose due to not getting a bite into the rotten joists. 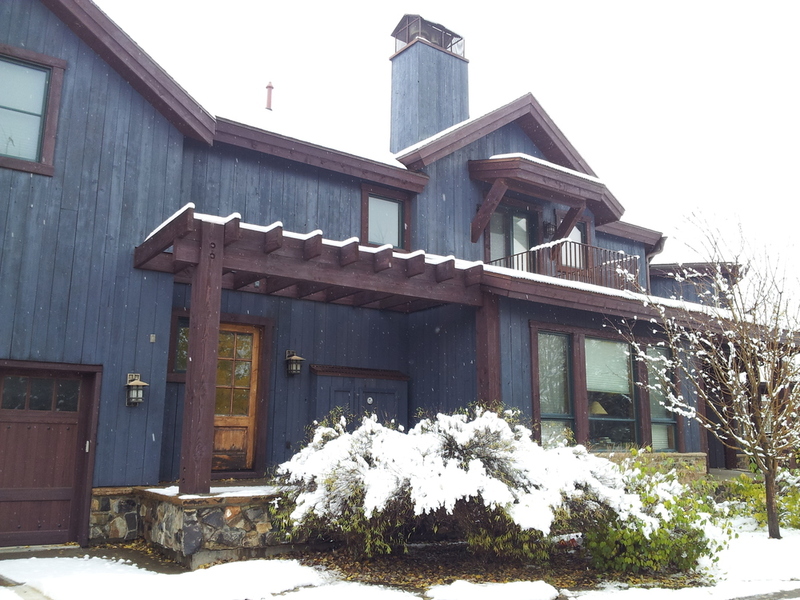 We build rot proof structures by using stained pressure treated lumber, allowing proper gapping on deck boards, and designing for proper airflow around outer edge. 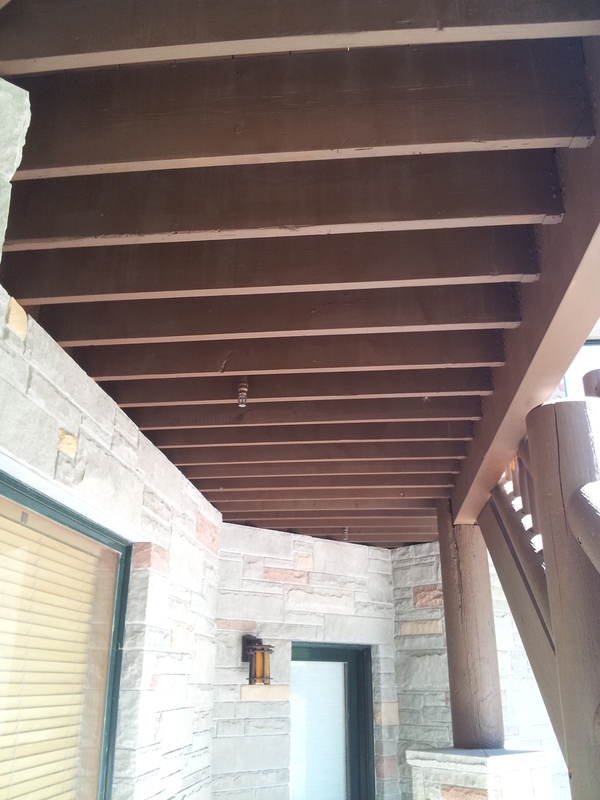 If it is an existing deck we can also do a restorative process whereby we prep the underside for a solid stain application that protects and beautifies the structure. Under coating is recommended on decks with decks or patios below them or if they are visible from below. Generally this is more of an aesthetic question since properly built upper level decks will be fairly rot resistant even without staining. Ventilation and drainage are the key factors. Also, with upper level decks we can replace/install new joists if rot in certain areas does occur.